The Skate is a new universal buggy platform for carrying a second child. It enables you to transport your child comfortably and effortlessly on the pushchair. 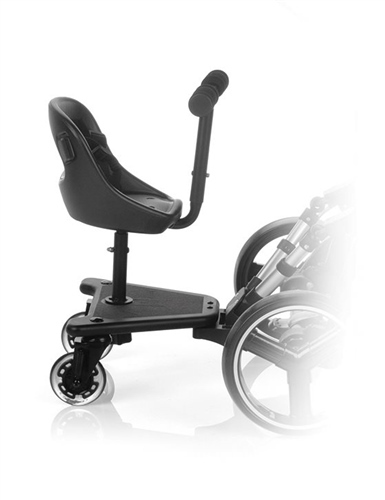 It’s a buggy platform that can carry the child standing up or sitting down with the Skate Seat unit. The Skate Seat is a product that enables you to convert the SKATE Buggy Platform from a standing platform to a seating rider for max comfort and convenience for you and your baby. Optional SKATE SEAT unit turns the SKATE platform into an exciting rider for your child.